HRH Queen Elizabeth officially opened The Keep, near Falmer this month, which will provide a home for archives and historical resources of East Sussex and Brighton and Hove. The Queen and Duke of Edinburgh were shown around the £19 million state-of-the-art resource centre which was built by leading construction, services and property group Kier Group, who employed Cavendish Cabling Services to complete the state of the art Category 7 and Optical Fibre cabling project. 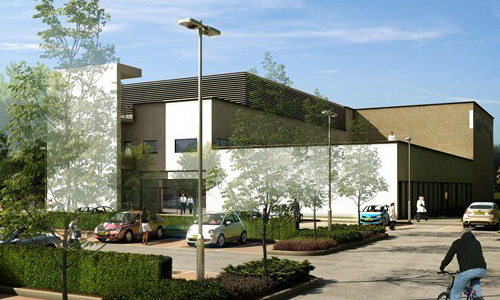 The work carried out by Cavendish included approximately 1000 data outlets and the use of high specification Siemon 40GB Cat 7 cabling, for extra bandwidth, security and flexibility to meet the future demands of the resource centre. The Keep will provide a home for all the archives and historical resources of East Sussex and Brighton and Hove, plus the special collections of the University of Sussex. The repository, or strong room, which will store the historical records and archives, has been designed to meet specific storage and preservation needs and was built to the British Standard BS5454:2000 for the storage and exhibition of archival documents. This specifies temperature and humidity ranges, shelving criteria and materials for document containers.